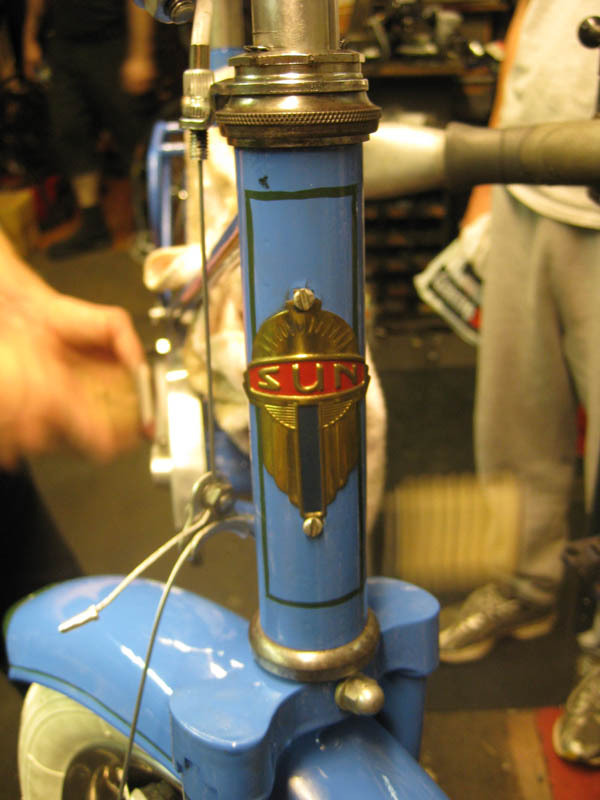 This little bicycle is not a Sun made bicycle, the headbadge was added as a pun, because Curtis bought it for his son. 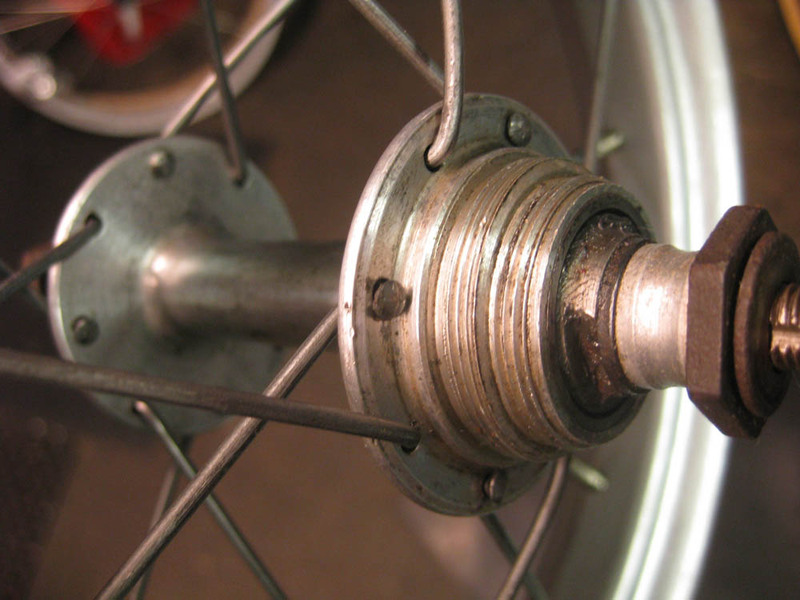 The bicycle is French, with French pedal threads, and juvenile French threaded hubs. 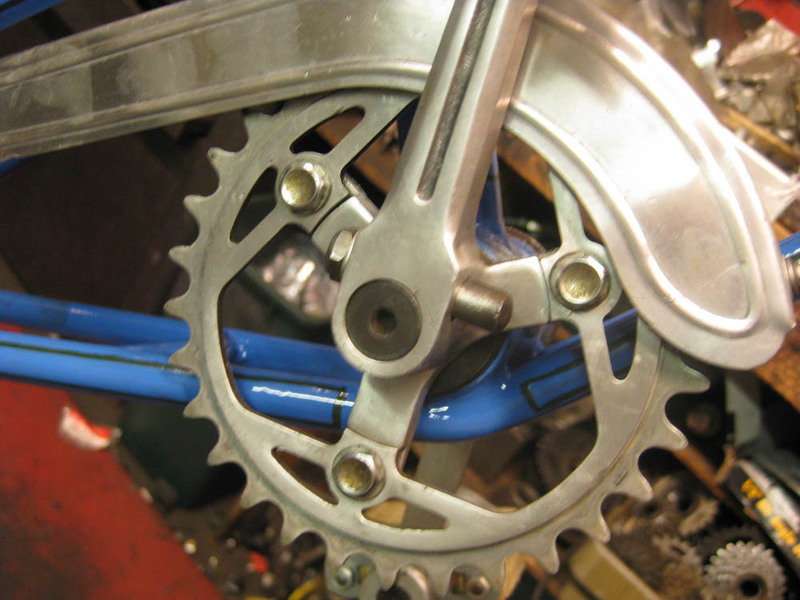 The bicycle has many unique and high end parts for the a kids bicycle. 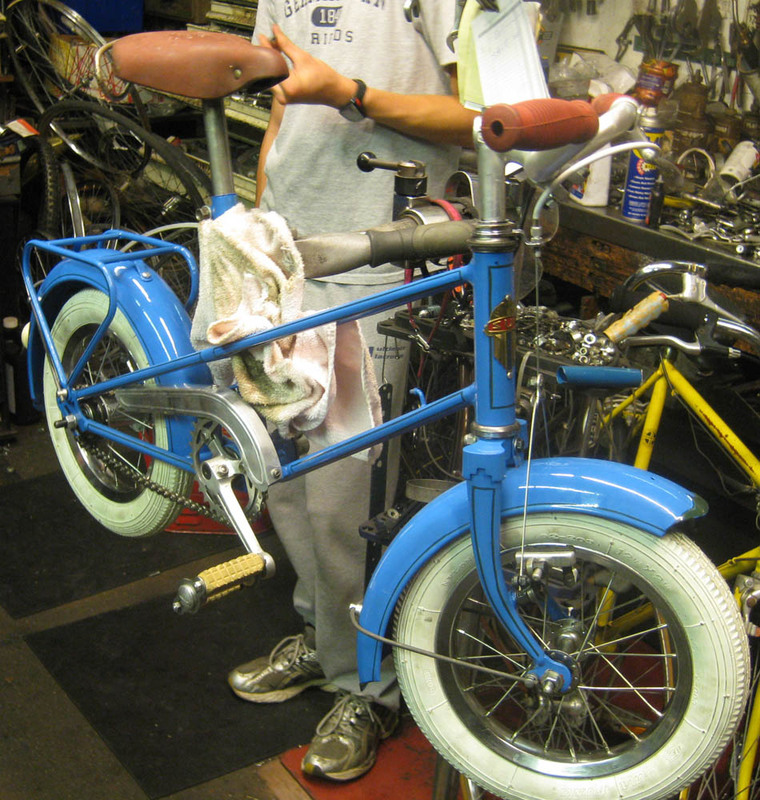 Alloy hubs, alloy cotterpin cranks, cantilever front brake, fenders, and even a leather saddle. It was definitely built by frame builder who put a lot of time into it. I have never seen alloy cotterpin cranks in this size, so it is probably safe to assume that they were produced by the person who built the frame. I date this bicycle somewhere in the 1950s-1960s.